We welcome players of all standards and ages. 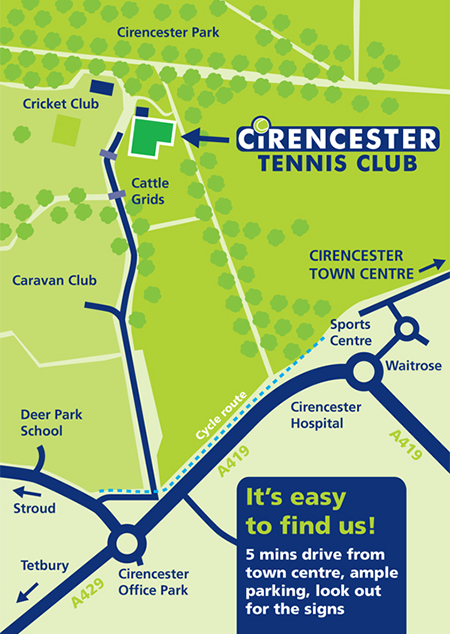 Come and play tennis in the beautiful surroundings of Cirencester Park. New!! View the Calendar to see upcoming matches and other events. New! !